Above image courtesy of Nordstrom, Inc.
Well, friends… it’s that time of year again. For those who haven’t noticed the subtle increase in yellow accents on this blog, here’s your warning to prepare yourselves for #NSale season. The Nordstrom Anniversary Sale is the infamous time when new fall merchandise goes on sale during the summer, and bloggers/shoppers across the country go a little crazy! I go back and forth each year wondering how much to post about the sale (if at all). Sometimes writing about shopping seems trivial, and I start seeing my blog as a distraction rather than a platform. But, I decided that I want to show the possibility of being more conscientious about the companies and products you support while still enjoying the process. I’m not going to deny that I love shopping as much as the next fashion blogger, but I’m spending more time these days researching how (if) companies give back or engage with their communities, and choosing to buy from them accordingly. Today’s post is a departure from typical “Don’t Miss Out on the Nordstrom Anniversary Sale” narrative, and a closer look at what Nordstrom does to leave the world a little better than they found it. Nordstrom supports the communities they serve by giving millions of dollars each year to nonprofits in the U.S., Canada and Puerto Rico. Each time Nordstrom opens a new store, they host a fundraising event for local nonprofit organizations in order to give back to those communities! In addition to their monetary contributions, they also partner with local and national organizations through specific giving programs and by volunteering time and resources. Nordstrom donates 1% of all their Gift Card sales, including amounts added to existing Gift Cards, to qualified nonprofit organizations in the communities they serve in the form of Nordstrom-directed grants or the Nordstrom Employee Charitable Match and Volunteer Program. 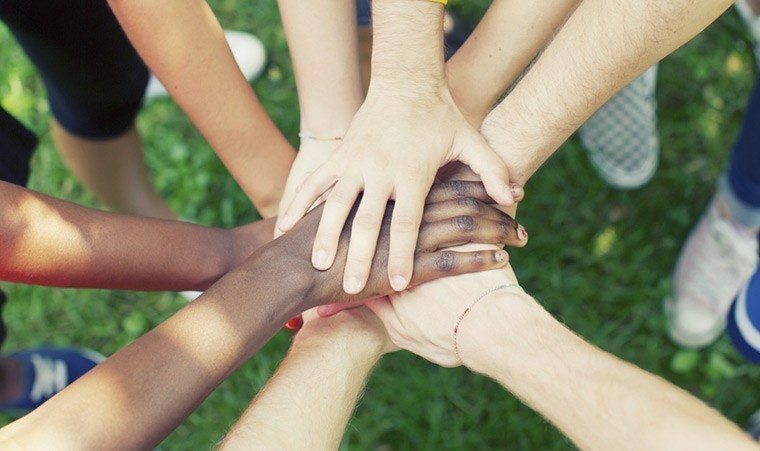 Beginning on their first day with the company, employees can receive up to $5,000 annually to match their personal contributions of cash or volunteer time to qualified nonprofit organizations. It’s wonderful that the corporation is not only philanthropic itself, but also promotes a culture of generosity amongst its employees. I loved reading this story of a personal stylist named Justin Studebaker from one of their California stores who used his men’s styling experience to support a home for teens struggling with alcohol dependency. He led a style workshop for teens staying at the center to help them prepare for important occasions such as court hearings and job interviews. Another thing I love is Nordstrom’s commitment to diversity. In 2016, 40.7% of their management population is comprised of people of color and 69.4% are women. I won’t sour this feel-good post by ranting about the lack of diversity in a certain former company, but suffice it to say that representation is extremely important to me these days. Kudos to Nordstrom for celebrating Asian-Pacific American Heritage Month in May! 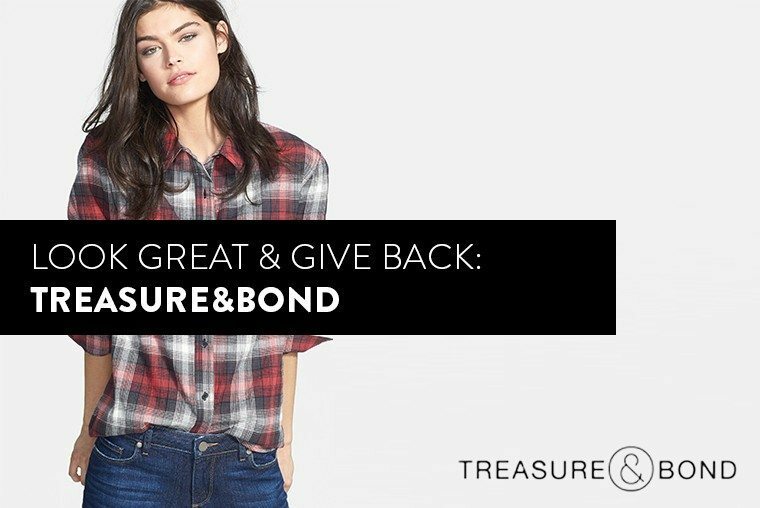 A portion of proceeds from sales of Nordstrom’s Treasure&Bond clothing line supports nonprofits that work to empower youth. They have donated more than $1.4 million to organizations such as Big Brothers Big Sisters of America since the brand launched in 2014. Treasure&Bond expanded its support to YWCA in the U.S. and Canada. In the U.S., funds support the organization’s TechGYRLS initiative, which encourages girls to strengthen their abilities and confidence in science, technology, engineering, arts and math (STEAM). Seriously… all the #girlgeek feels. Whenever I shop on Nordstrom.com now, Treasure&Bond is the first collection that I browse. It definitely doesn’t hurt that the simple, vintage style is right up my minimalist alley! My hope that this (rather long-winded) post might serve as a reminder that we don’t have to sell our souls to survive in this blog eat blog world. Kindness and the willingness to help others will never go out of style. Yes, of course, the Nordstrom Anniversary Sale is an amazing event and opportunity to save money– but the more important question is what you will do afterward with all you’ve saved. I LOVE this piece and learned something new! Thank you for broadening my view not only of Nordstrom but looking beyond the company and doing a little more digging behind the scenes into the company! Love love love! aww, thanks for reading Tara! I’m glad you enjoyed it. The non-profit world has opened my eyes to some amazing things corporations are doing in their communities. Yes!! I’m all about researching companies and their corporate social responsibility initiatives. Nordstrom and Fossil are two of my faves.